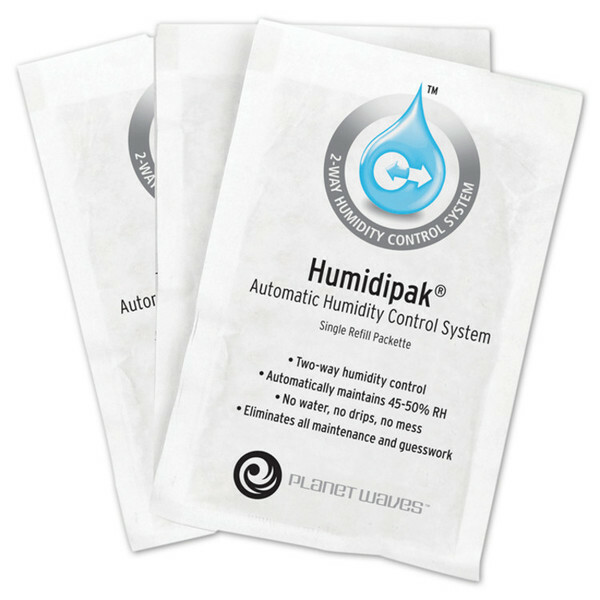 The Humidipak by Planet Waves is the only maintenance free two way humidity control system for guitar. It maintains the 45-50% humidity level that is optimal for guitar maintenance. It both adds and reduces moisture levels on demand. 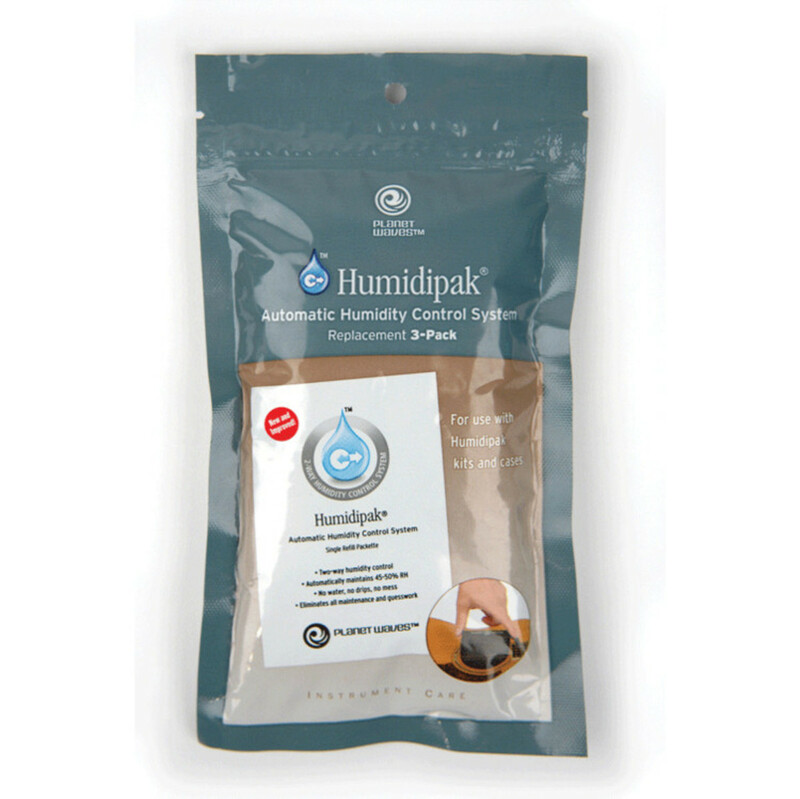 The Humidipak replacement Kit comes with three Humidipaks that last between two and six months. The Humidipak by Planet Waves is a highly innovative product that offers the musician a fantastic way to ensure the longevity of their instrument. Humidipaks should be thrown away once they become firm, and can be replace using refills. They should be kept in dry sealed places.